When looking for a hard wearing flooring material that is up to daily use and can be easily cleaned you can find a wide variety of products that might be suitable for the job, although not all are. There is a new and innovative product that is fast becoming a firm favorite for residential and business premises – waterproof flooring called Aqua Step. With a 20 year warranty on residential installations this 100% water-resistant floor covering is what some may describe “The next best thing”. Waterproof flooring is one of the strongest flooring substances you can have. Due to its honeycomb internal structure, resulting in an IC3 strength classification suitable heavy domestic use and also ideal for restaurants and other businesses. Because waterproof flooring is made from high quality resins it can be laid directly onto damp concrete without even the need for a damp barrier. 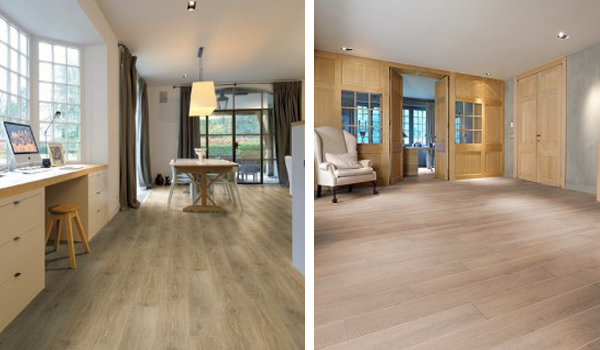 Waterproof flooring is quick and easy to install, so your home looks great in a small amount of time. 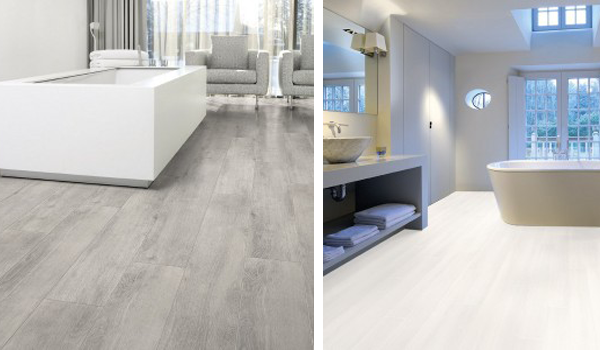 The Uniclic system means your floor is fully waterproof even at the seams. This type of flooring is extremely hard wearing and strong, plus it does not expand and contract like traditional wooden flooring. Waterproof flooring has excellent sound reduction qualities, it will adapt to the temperature inside your home to provide a warm and comfortable floor surface. 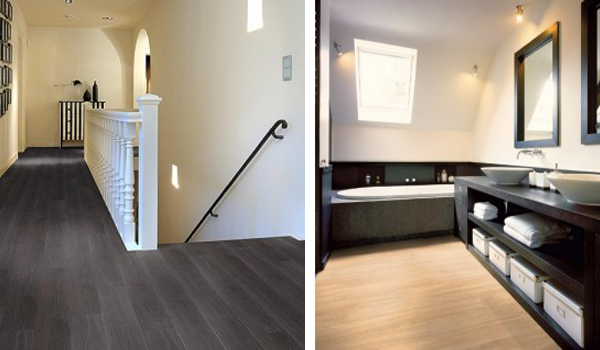 Waterproof flooring comes in a huge range of styles and colors, making it ideal for any home. From wood effect finishes to ceramic and stone effect and even ship deck style. There are over 24 designs to choose from that can be matched to your interior decorating. With waterproof flooring you are guaranteed a quality product that will look great for many years. This long lasting floor solution is virtually scratch proof, will not discolor and is resistant to stains.